A welder joins things together with metals. There are a variety of processes welders use to complete their jobs. There are also quite a few different career options that welders can get into that can touch land, sea, sky, and everything in between. Welders keep our nation’s structures, both old and new, standing proud and tall. Welders are needed in a variety of different industries; qualified welders can go from one field of work to another. If welding is a career option you’re considering, then read on to find out why welding is a good career choice. Skip to welding school cost. The industry you’ll work in will determine your scope of work. However, one thing welding has in common across all the industries is the basic process: Heat is used to fuse metal parts together. Tools, techniques, and types of metals will vary, as there are more than 100 actual processes welders use, with the most common type being arc welding. As a welder, you'll need to have an in-depth understanding of blueprint readings and specifications so that you can accurately determine what is involved in the project. Focus and determination are key elements necessary to being a successful welder. You need to be extremely detail-oriented to assess the necessary repairs accurately and catch the change in the flow of the liquid metal being used to join parts. You should have higher than average manual dexterity, stamina, and physical strength. Think about it, as a welder you are sometimes stuck in one position, holding heavy equipment, for extended periods of time. You need to be able to sustain that without fail, or the project may flop. Students are graduating from four-year colleges and having a hard time finding jobs. In the welding industry, there is a massive shortage of qualified welders. Since 1988, the number of working welders has decreased by half, and that number is shrinking rapidly. The main reason for this shortage of welders is that the sum of those retiring is not equal to those entering the workforce. 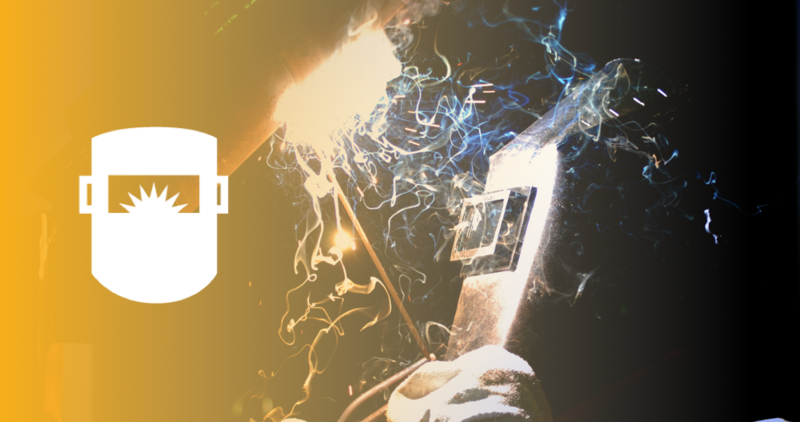 Welding is being underrepresented, yet welders are necessary to our nation’s infrastructure. By 2020, the shortage of skilled welders is estimated to be 300,000. Based on the supply and demand, welders' wages will go up because of how badly they will be needed. The job market will become so competitive that it will force employers to up wages just to bring a skilled welder on board. So, it appears that now is the perfect time to consider welding as a career. To become a professional welder, you must first either graduate high school or obtain your GED. After that, the requirements may vary by employer. Some will offer apprenticeships and training programs. However, most employers suggest, at the very minimum, getting a trade school diploma in welding. If you’re still in high school and considering going into the trade of welding, then it is strongly suggested that you take all the shop classes your high school offers, along with loading up in math and science classes. And consider finding a job opportunity at an auto body shop or anywhere you can learn about welding through a professional. Trade or vocational schools offer diplomas in welding, and community colleges offer associate degrees in welding technology. Through both types of courses, you will take physics, chemistry, blueprint reading, metallurgy, mechanical drawing, and shop math. You’ll also learn the essential art of heating and shape various metals, which welding is based upon. There will also be plenty of hands-on opportunities, which will not only teach but also give you the necessary exposure to experience. Choosing a welding school doesn’t have to be an impossible chore. One way to help make your decision easier is to go to a local company that employs welders and find out where the welders there went to class. Ask them some questions about their school experience while you’re there. If doing that is out of your comfort zone, that’s OK. There are other steps you can take: Visit the American Welding Society’s website to see what schools it recommends in your area. Other things to check out when school searching is whether the school is accredited, what the graduation rate is, and what its job placement program is like, assuming it has one. You may also want to consider setting up a time to do a classroom visit, to see what you’re getting into! While you’re snooping around, notice the machinery. Is there enough for each student? Is the equipment in decent condition? Ask the students; they’ll tell you what their experience is. Keep in mind; some people don’t like going to school, no matter what program they are in, so they might have a negative attitude toward it. Therefore, asking a few different students their opinions will give a better idea. Apprenticeships can be free or have a nominal cost, roughly $1,300. They will last 3-5 years before you’re ready to go on your own. A four-year bachelor’s degree in welding technology will cost between $40,000-$100,000. The two more traditional ways to become a welder are through either a diploma or associate degree program. One of the main differences between the two programs is that an associate degree will include general education courses. Diploma or certificate programs focus on welding, period. However, with an associate degree, you have the option of continuing on to receive a bachelor’s degree in welding technology. Of course, educational costs and their supplemental costs depend on the school and where its located. It is possible to receive scholarships and financial aid to offset the cost of the welding education, so it’s important to discuss options with the financial department of the school. Find out more about financial aid. The American Welding Society offers quite a few scholarship opportunities, as well. Welding will experience an employment growth of 6 percent through 2026. There is a high need for welders as our nation’s infrastructure ages. Most welding jobs are found in the manufacturing sector with a concentration in transportation equipment, fabricated metal products, agricultural, mining, and farming machinery, and architectural and structural metals manufacturing. Welders earn a median annual wage of $40,240. The lowest 10 percent made $27,460, while the top 10 percent brought in more than $63,170 annually. Pay is determined by various measures such as your skill level, which industry you are in, and the size of the company you work for. Now, more than ever, our country needs qualified welders. It’s a fantastic career choice, filled with a variety of different career options and salaries. Whether you’re looking to change your career or you’re just starting out, welding could be the perfect fit for you. Not all states require welders to be certified. However, to be more employable, certification is highly recommended. Certification shows potential employers and customers that you have the skills to complete the necessary tasks. It provides a level of reassurance to employers that their work reputation isn’t at stake. Certification also means a larger paycheck and better job advancements for you, the certified welder. There are quite a few different certifications available to welders and, depending on what kind of welding work you are looking to do will determine which certification is needed. They cost between $275-$1,100, depending on which certification is being pursued. When you're ready to begin earning your certifications, start with the American Welding Society. The AWS offers many different areas of professional certifications and endorsements. You can get certified as a welder, a welding instructor, or in certified robotic arc welding. Becoming a member of the AWS will lower the prices of the certification exams.